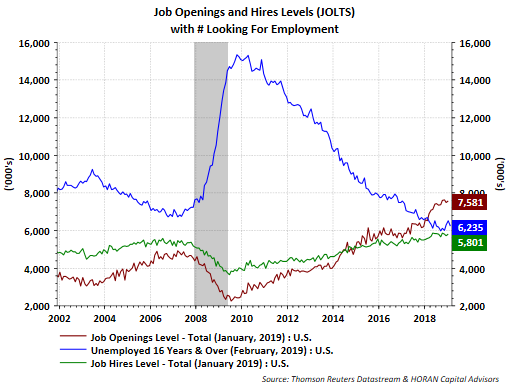 With Friday's release of the January Job Openings and Labor Turnover Survey (JOLTS), further confirmation was evident that the US job market remains tilted in favor of job seekers. 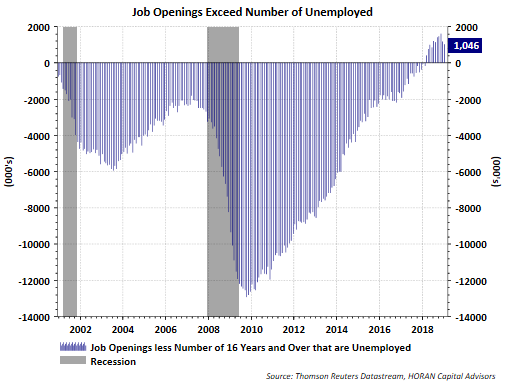 As Econoday noted in their report, "employers are increasingly scrambling to fill [openings]." Even with new hires increasing by 1.5%, openings exceed hires by a record 1.78 million individuals. 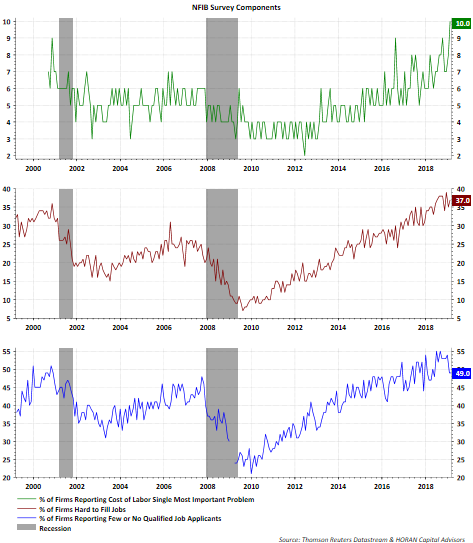 A year ago with theMarch 2018 data, job openings exceeded the number of unemployed looking for jobs for the first time since the JOLTS data has been available. "57% reported hiring or trying to hire (up 1 point), but 49% reported few or no qualified applicants for the positions they were trying to fill." "22% of owners cited the difficulty of finding qualified workers as their Single Most Important Business Problem, only 3 points below the record high." Also matching a record high is the 10% of owners that cited cost of labor as their Single most Important Business Problem. "Job creation broke the 45-year record in February with a net addition of 0.52 workers per firm (including those making no change in employment), up from 0.25 in December, and 0.33 in January. 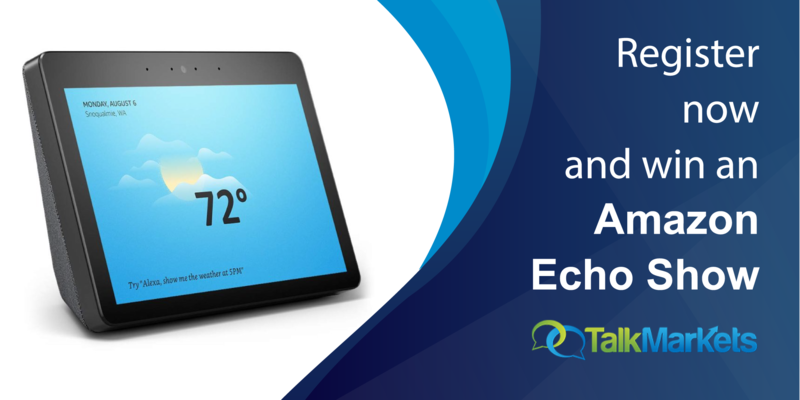 The previous record was 0.51 reached in May 1998." The tight labor market is contributing to or benefiting wage growth. Average hourly earnings are up 3.5% on a year over year basis and have mostly outpaced inflation since 2012. 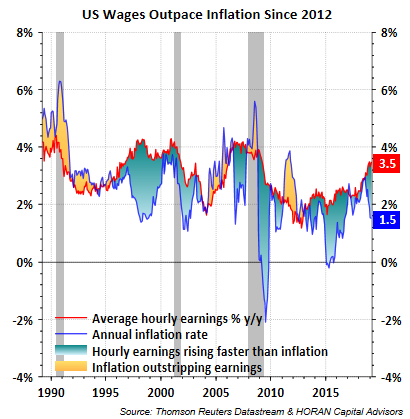 The wage growth rate is approaching levels reached near the peak of prior economic cycles. This labor market environment is certainly something the Fed is focused in on. David Templeton, Portfolio Manager & Principal, is a senior strategist and advisor at HORAN Capital Advisors. David has extensive experience in portfolio construction, security selection,development of investment policies and portfolio allocation strategies for individual and institutional clients. In understanding a client’s goals and objectives, David believes the foundation of a client’s portfolio should consist of high quality investments that have a history of generating higher risk adjusted returns over time. He also has extensive experience in overall financial planning and wealth transfer strategies. Prior to joining HORAN Capital Advisors, David spent seven years as Vice President and Senior Portfolio Manager for high net worth clients with Fifth Third Bank. He also served as Vice President and Portfolio Manager for PNC Bank’s charitable and endowment group and retirement and investment services group. Prior to David’s portfolio management responsibilities, he was a commercial loan officer for middle market and large corporate relationships. David began his banking career in 1984 working in commercial and retail banking.